Lot 761. SPAIN. 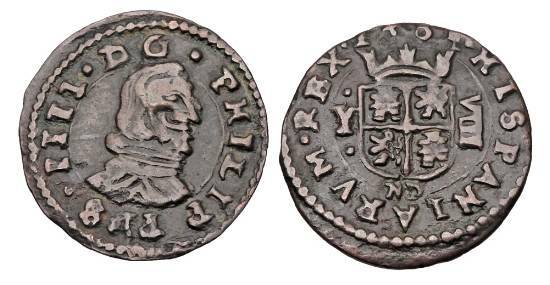 Philip IV, 1621-1665 AD. Æ 8 Maravedis.